This afternoon NPR’s Fresh Air ran an interview I conducted last week with host Terry Gross. You can listen to it here. Unfortunately a planned interview today with CNN’s Jake Tapper was cancelled because of the government shutdown! 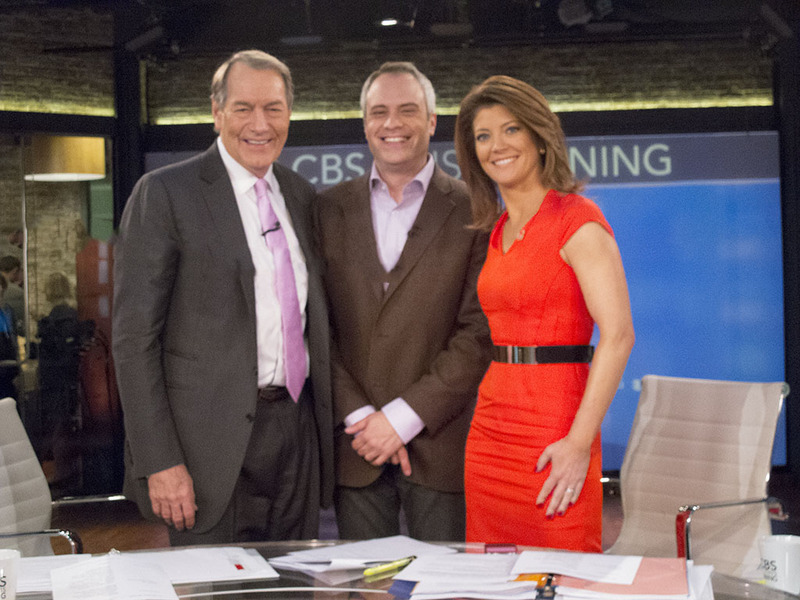 I started my book tour talking to Charlie Rose and Norah O’Donnell on the CBS Early Show. Watch the video here for conclusive evidence that I should remain a print reporter. My dad Robert Stone came along and took this photo.